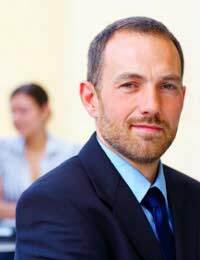 A CEO is an abbreviation for the ‘hallowed’ position of ‘Chief Executive Officer’ which is basically the highest ranking position you can aspire to within a company and is the person who is responsible for reporting to the company’s board of directors who, in turn, need to report to the investors or shareholders. There is no set route to getting appointed to this prestigious position within a retail company and there are no specific academic qualifications set in stone which you should strive for although most CEOs will usually have at least a university degree of some kind. However, there are certain character traits which are often quite common to those who work their way up the corporate ladder and are eventually promoted to the top job. To become a CEO takes many years of hard work and it’s always vital that you have a good understanding of a company’s entire operations. In retail, this is often easier to gain than in some other industries given that so many of the operations are so tightly integrated and you can work your way up through the ranks, often working in different roles within the company and achieving success in the roles you are appointed to. The retail sector, perhaps more than most others, has undergone a dramatic transformation since the Internet was first introduced and these days, with shopping online becoming even more widespread, it’s getting harder to retain customers so any retail CEO needs to have a firm grasp about globalisation and technological developments. Although many people can see some of the incredible six figure salaries that a CEO can command as not being in proportion to what they actually do, a good CEO is an invaluable asset to a company. Most of them work a lot harder than what you might think. They are often at their desks before most of their staff have even left home for work and either at work after everybody has gone home or travelling to attend meetings. Therefore, you need to have a lot of energy and be extremely passionate about the company you are working for. And, although many CEOs start off on the bottom rung of their company’s career ladder and work their way up, some are head hunted from other companies if they have the special qualities that are required to do the job well.